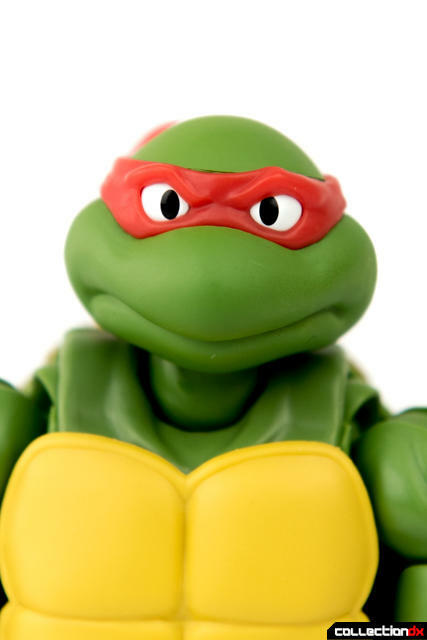 Raphael is the cool, but crude member of the Teenage Mutant Ninja turtles. 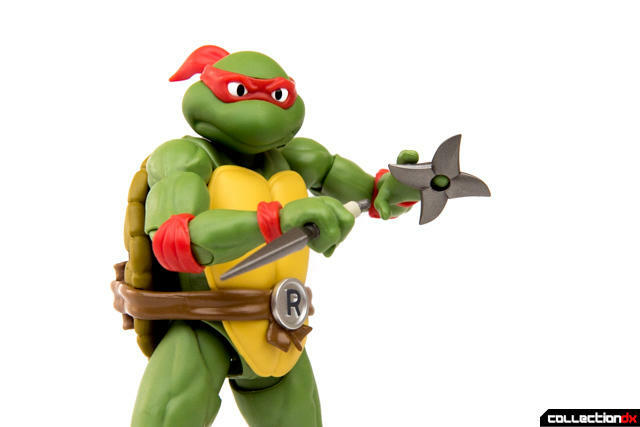 This short-tempered, sai-wielding turtle may sometimes be at odds with his brothers, but he is key member of the crime-fighting family. 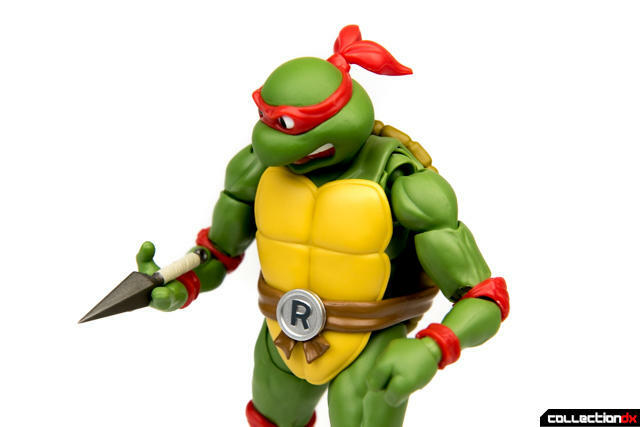 As an important part of the TMNT team, Bandai has recently released Raph in the S.H. 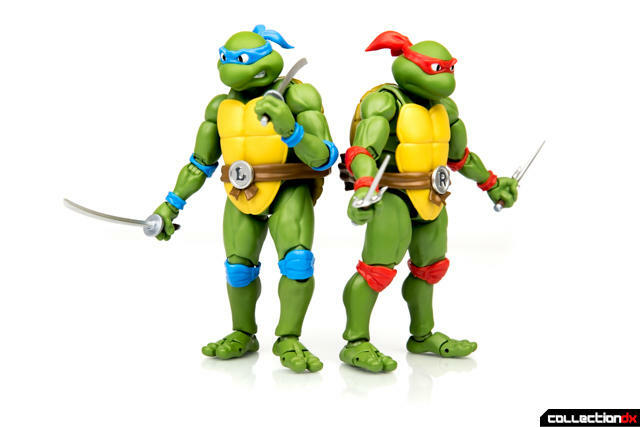 Figuarts line, following the release of his brothers, Leonardo and Donatello. Like the other S.H. 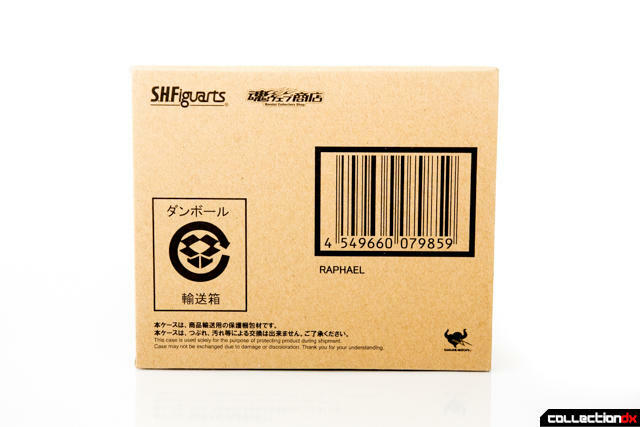 Figuarts Turtles, Raphael is a Tamashii Web Exclusive in Japan, which means he comes protected by the brown Tamashii Exclusive box. Lucky for us in the States, Bluefin Distribution is distributing it as a regular release here. Much like the S.H. 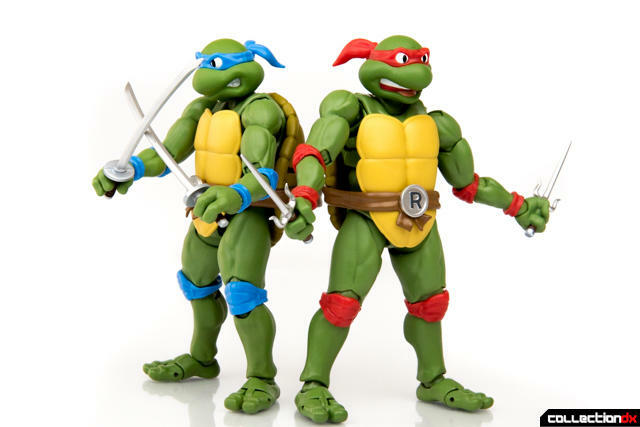 Figuarts siblings, Raphael is the best darn toy representation of this iconic cartoon character. 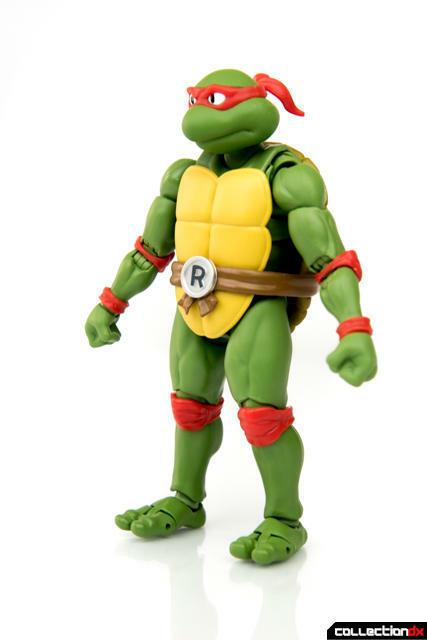 Much better than the wonky-eyed, bowlegged Classics version that Playmates released a few years back. Everything about this relaese just feels and looks right. 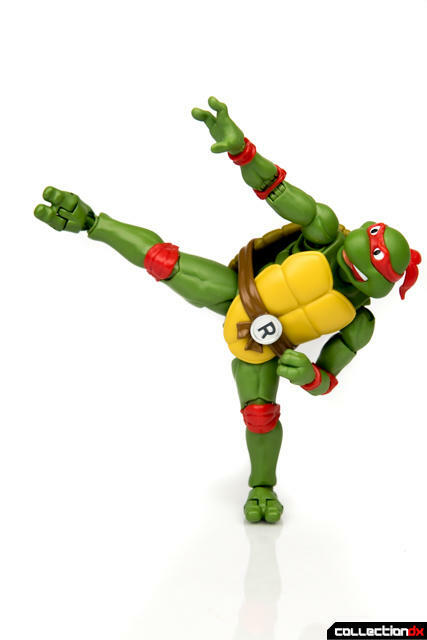 Articulation on this turtle is top-notch. Double joints, swivels, ab crunch, hinges: they are all pretty much where I expected them to be. 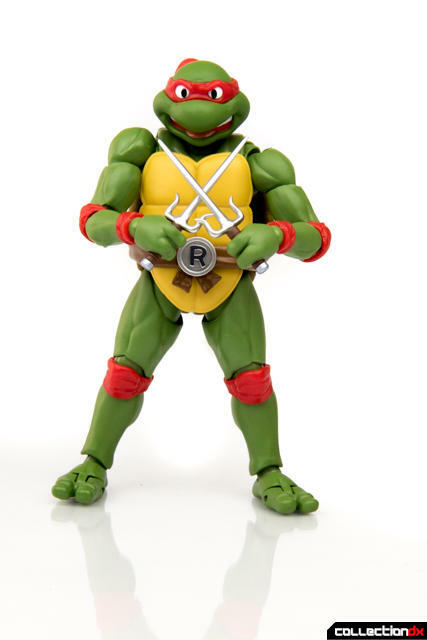 The figure has added stability thanks to the fact that Bandai has made everything below the knees out of metal. 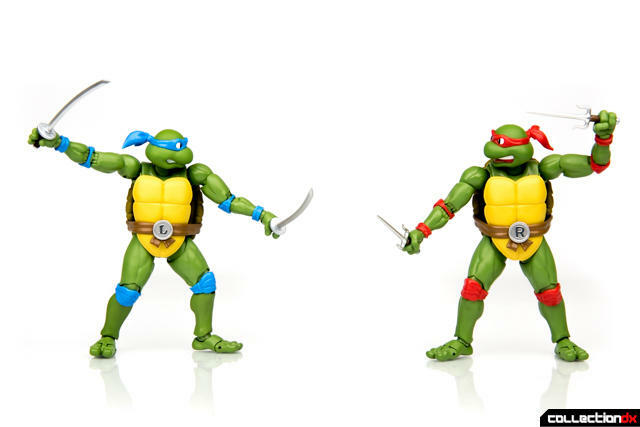 This is a great addition, as it balances out the figures top-heavy design. 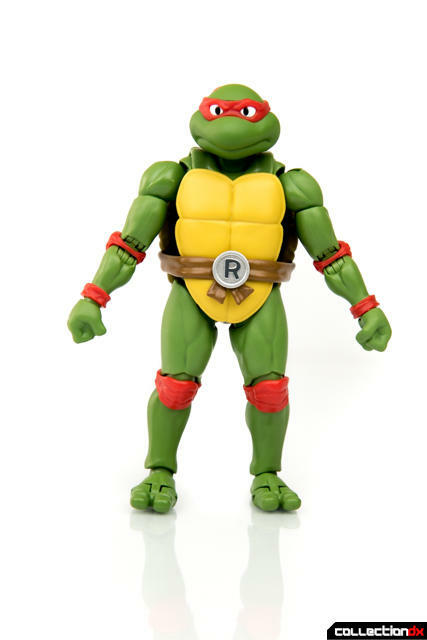 The front shell is made of a soft rubber, allowing the legs extra freedom. 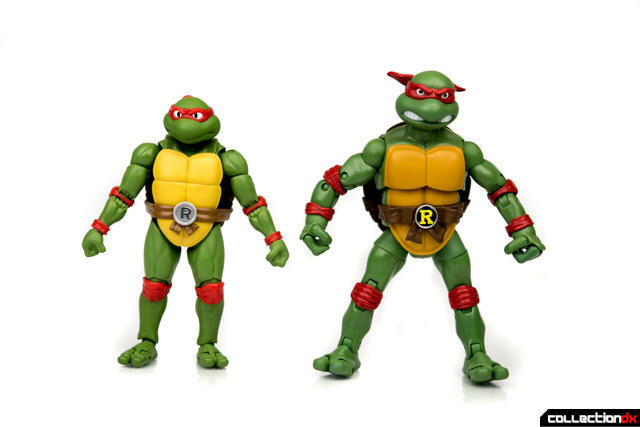 Like the other turtles in the line, Raph comes with two interchangeable heads. 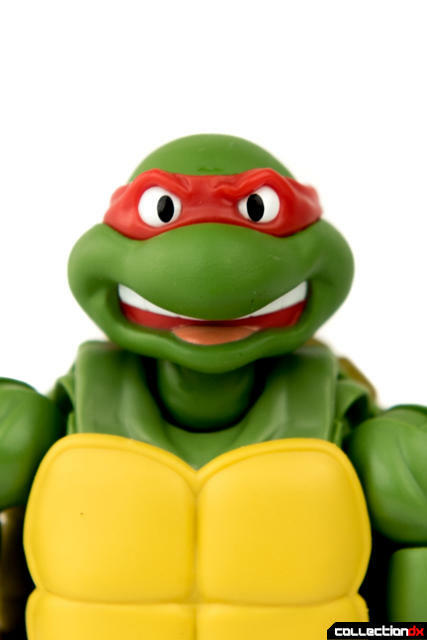 One goofy face, that also works rather well as his action face. The S.H. 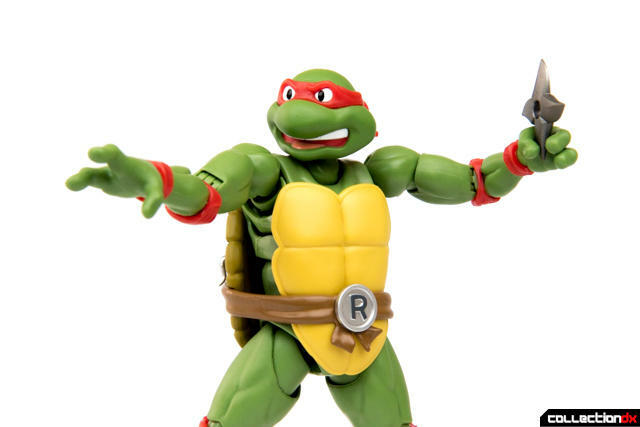 Figuarts Raphael bests his turtle brethren’s releases in the weaponry department. 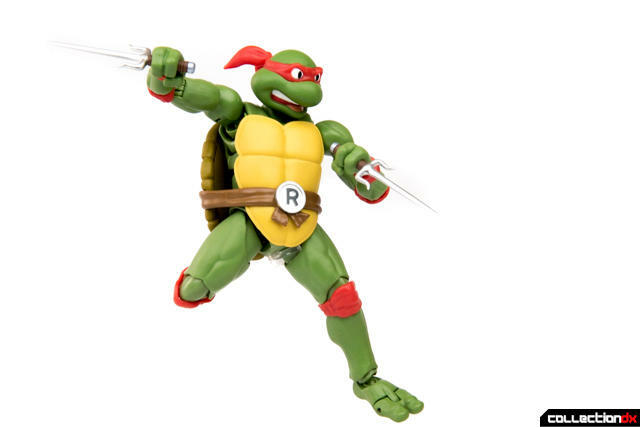 Besides his signature sai, Raphael comes with a kunai and a shuriken. 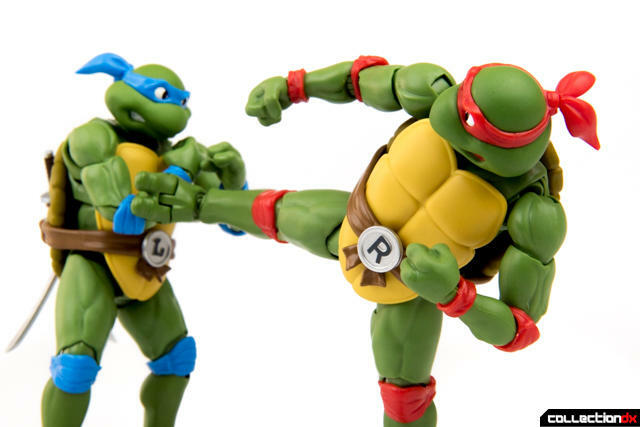 Much more dangerous than the slice of pizza that Donatello came packaged with. Though at dinner time, I guess a slice of pizza has much more utility. 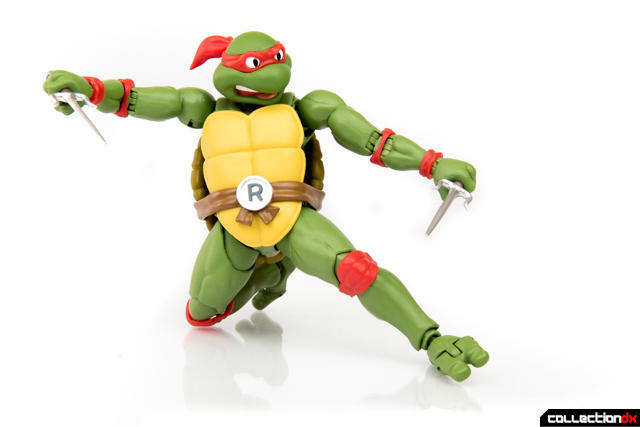 The combination of the articulation and accessories, makes this a figure that is a joy to pose! 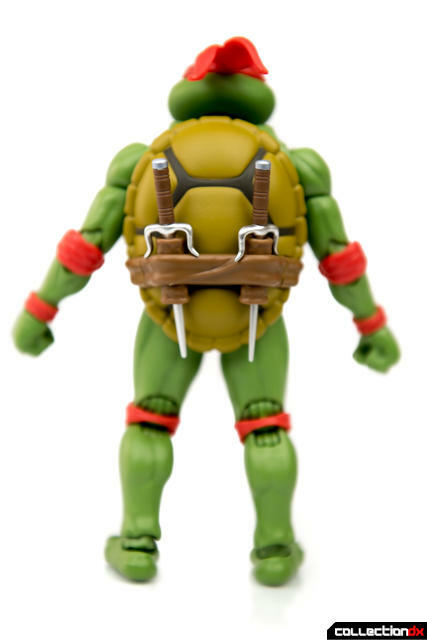 Raphael comes with a separate belt piece for the rear, which can hold his Sai. 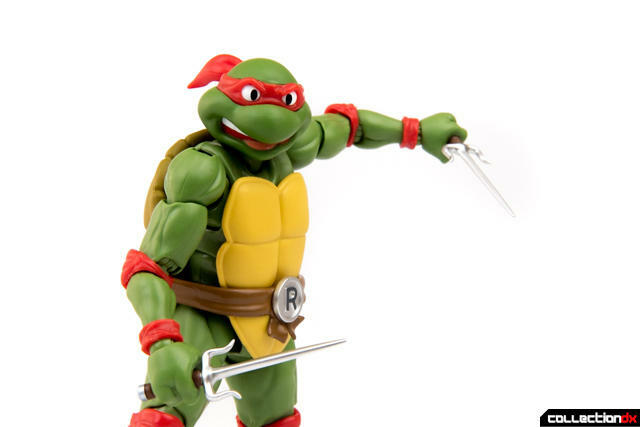 He also comes with 4 sets of hands, which have been featured throught the review. The S.H. 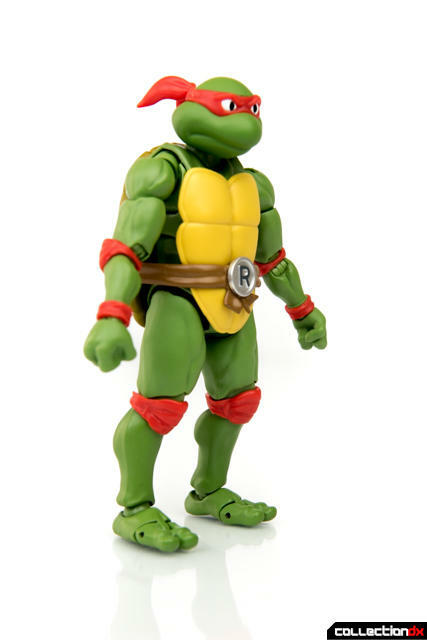 Figuarts Raphael is totally tubular, dude! The Leonardo S.H. 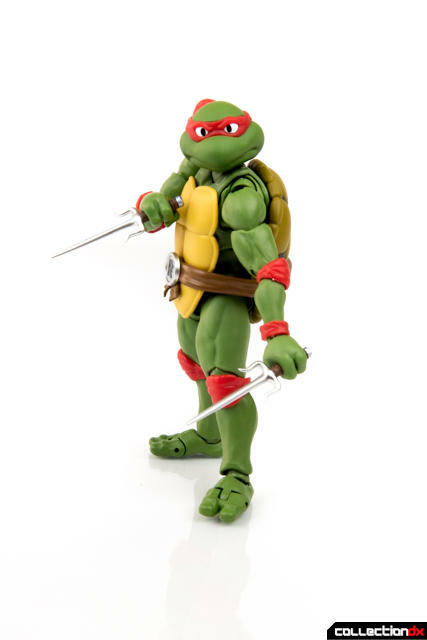 Figuarts set a solid standard for what I was expecting out of the Raphael figure, and Raphael did not disappoint. The mold, the finish, the articulation and the accessories are all as good, if not a little better than his brothers' releases. 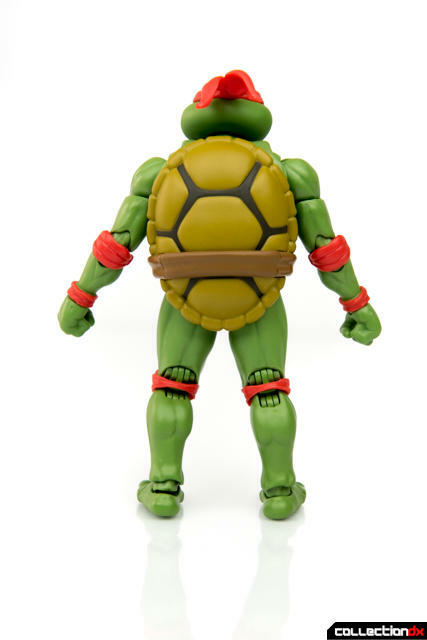 If you already bought Donatello and Leonardo, I have a feeling you probably already bought this. 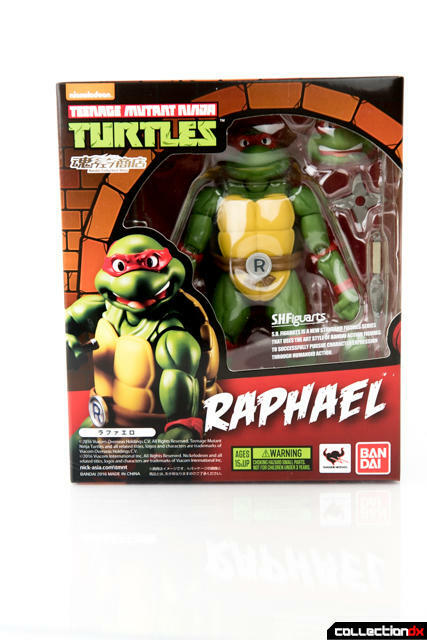 If Raphael is your favorite of the turtles and are looking get the best figure of this character, then you owe it to yourself to pick one of these up.